I was just commenting to someone that I sometimes feel that I cook more in summer than in winter. That seems counter-intuitive, but there’s a reason for this. With summer comes all the beautiful vegetables that you can’t get in winter (or they’re not as good in winter), and I definitely want to take full advantage. One of those things is garlic scapes, which are available for a short while in early summer. Categories: Gluten-free, Healthy Alternatives, Healthy eating, Recipes, Savory Cooking, seasonal cooking, Uncategorized, Vegan, Vegetables, Vegetarian, Wheat-free | Tags: beets, garlic scapes, greens, seasonal, summer, vegetables | Permalink. I love it when leftovers come together so beautifully that they make a healthy, delicious meal. Yep, this is another one of my everything-in-the-refrigerator concoctions. And it turned out pretty damn good. 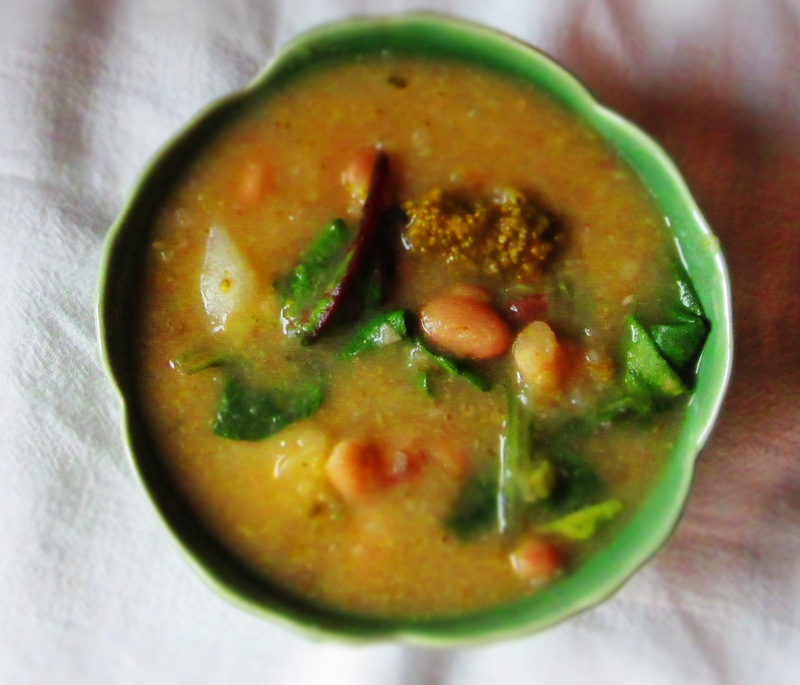 I love soup, and it’s one of the easiest ways to utilize leftovers. In this case, I had a few potatoes, a piece of broccoli, and some leftover greens. So, this is what I came up with. I hope you give it a try and enjoy it. Heat the oil in a medium pot. 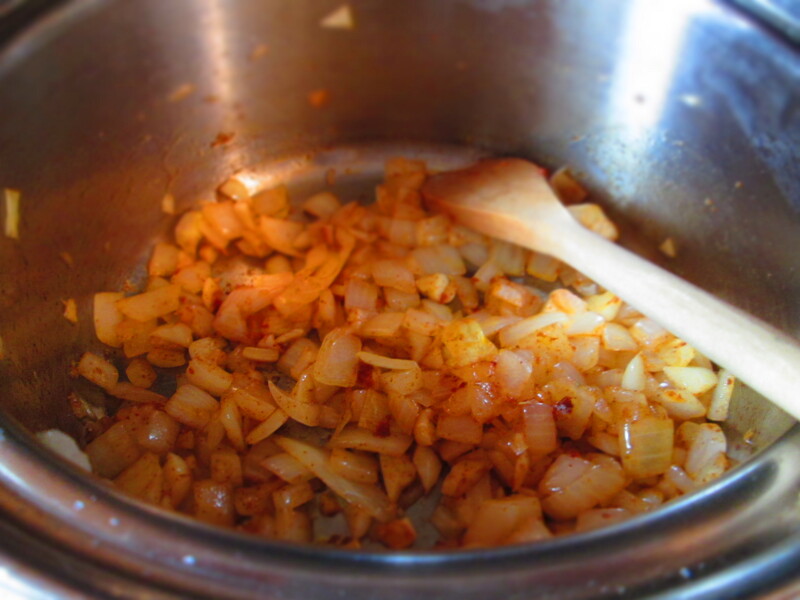 Add onion and ¼ teaspoon salt and saute until translucent, about 5 minutes. Add garlic and saute another 2 minutes. Make a space in the pot and place the tomato paste in that spot. 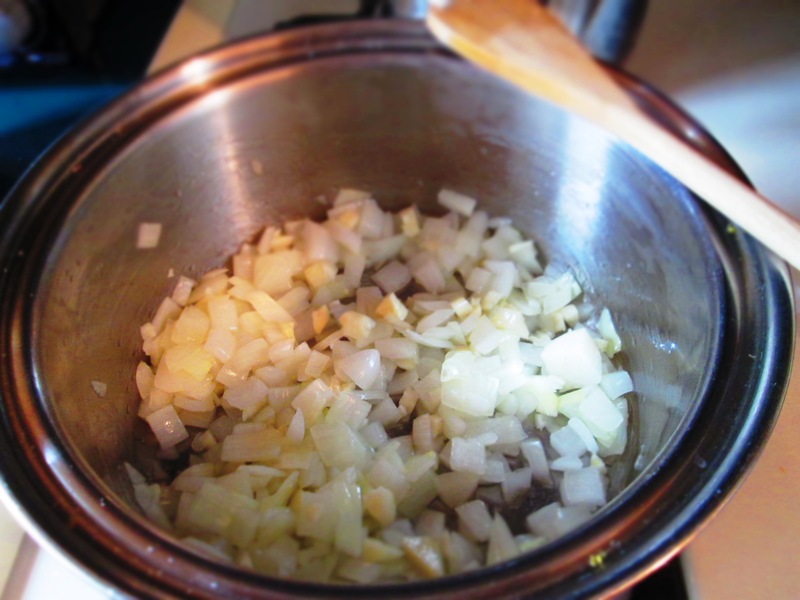 Stir it for about 30 seconds then stir it into the onions and garlic. Mix well. Add potatoes and stir them in. Let cook about 2 minutes, stirring occasionally. 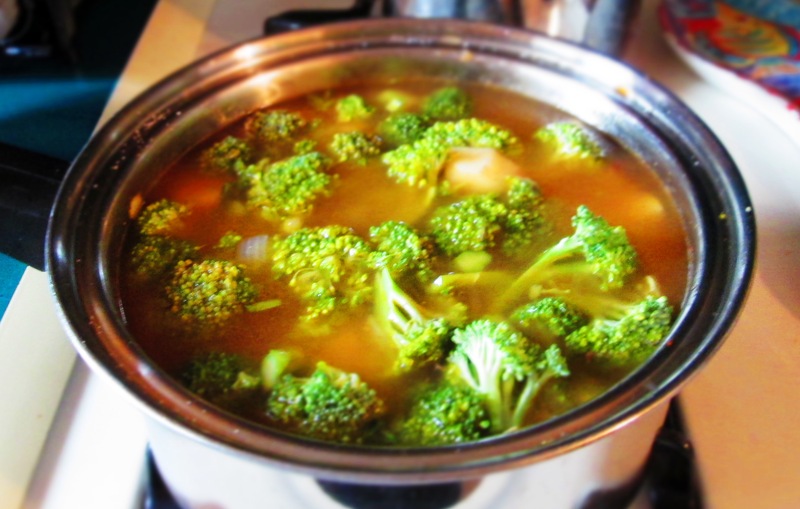 Pour in the broth and add broccoli and ½ teaspoon salt. 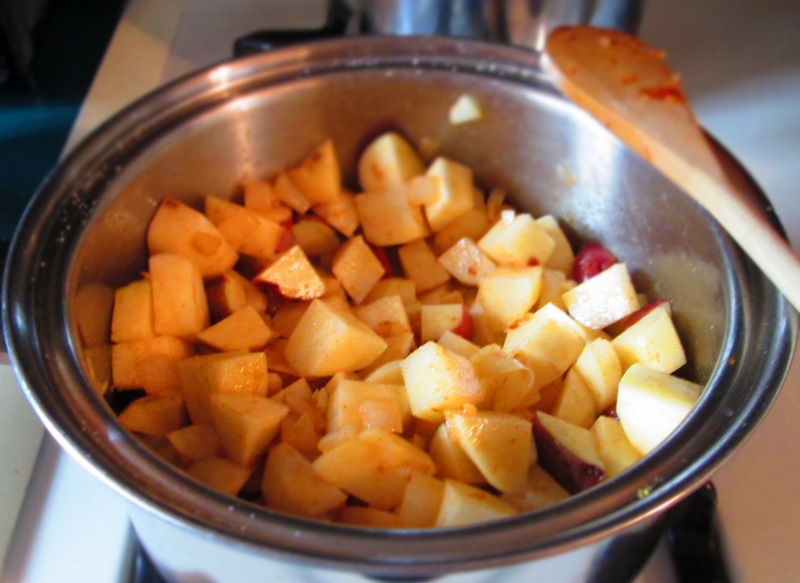 Bring to a boil; lower heat and simmer, covered, until potatoes and broccoli are tender, about 15 minutes. Using a stick blender or blender, puree the soup. 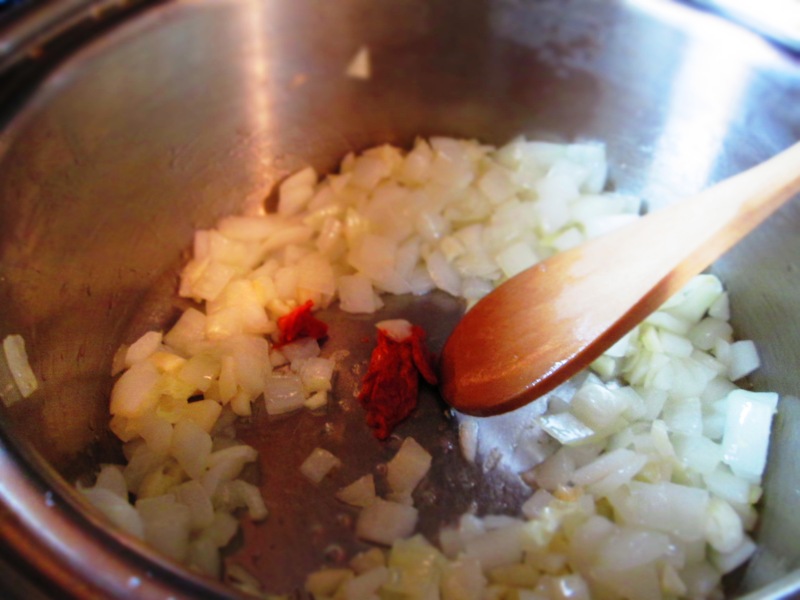 If you want a completely smooth soup, puree the entire pot (in a couple of batches). 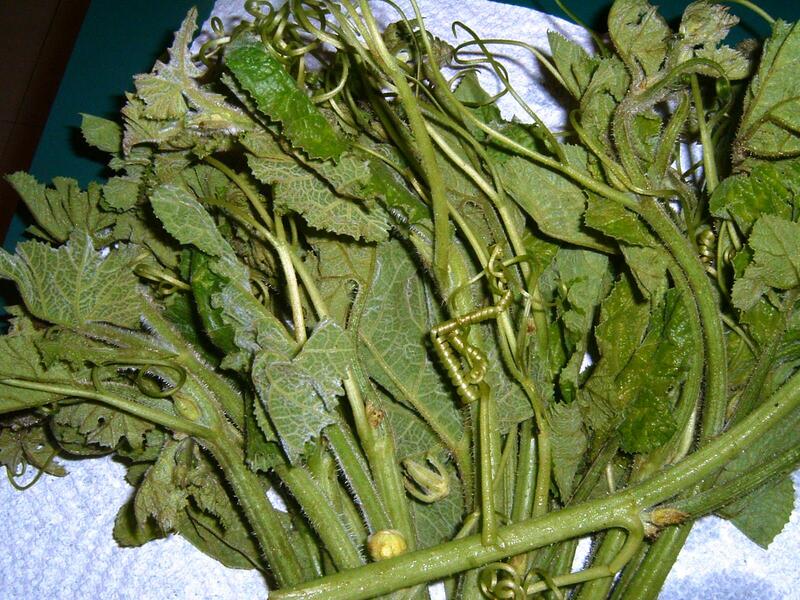 If you prefer it chunky, puree only half of it. 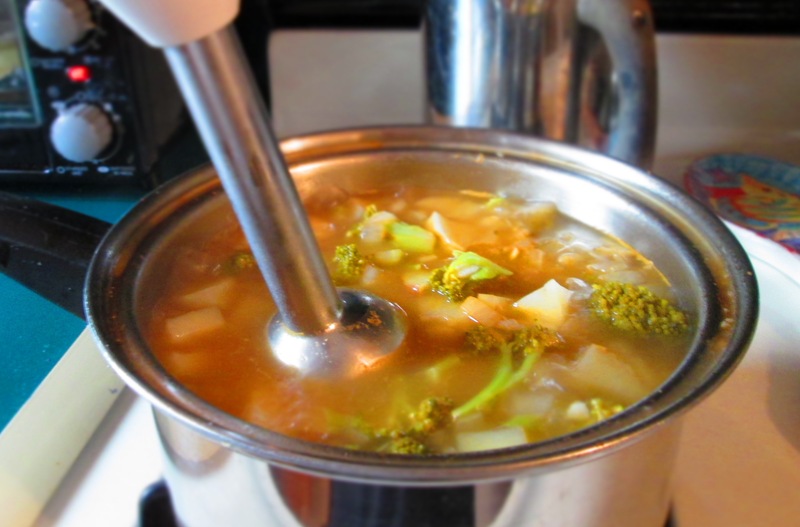 If you’ve used a blender, pour the soup back into the pot. Stir in beans and greens and continue cooking another 5 minutes. Taste for seasoning and adjust if needed. Ladle into bowls. You can serve with black or red pepper, grated cheese, or croutons, if desired. 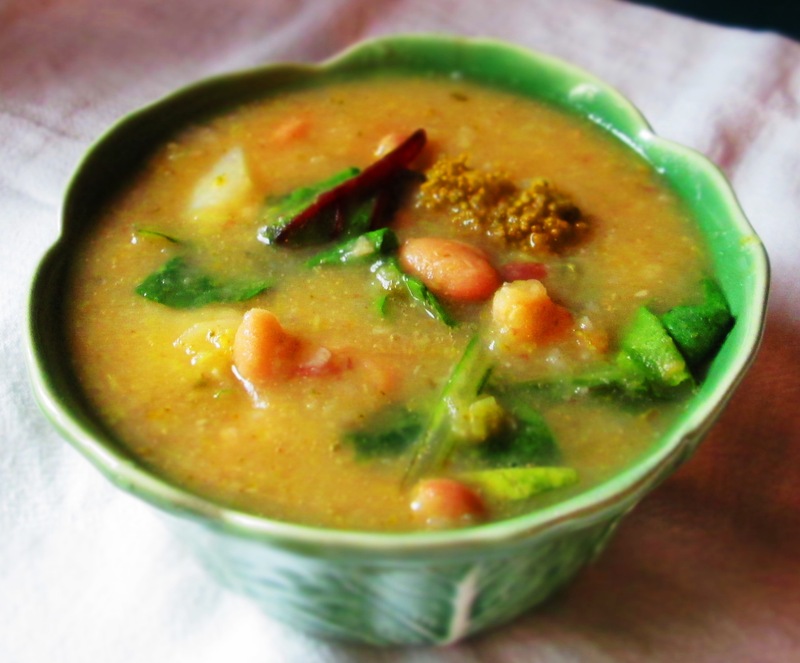 Categories: Gluten-free, Healthy eating, Recipes, Savory Cooking, Soup, Uncategorized, Vegan, Vegetables, Vegetarian | Tags: beans, broccoli, greens, potatoes, soup, vegetarian | Permalink.